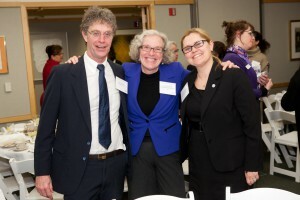 Executive Director of Porchlight Steve Schooler, President & CEO of United Way of Dane County, and Beverely Ebersold, Regional Coordinator of the U.S. Interagency Council on Homelessness enjoyed the evening. 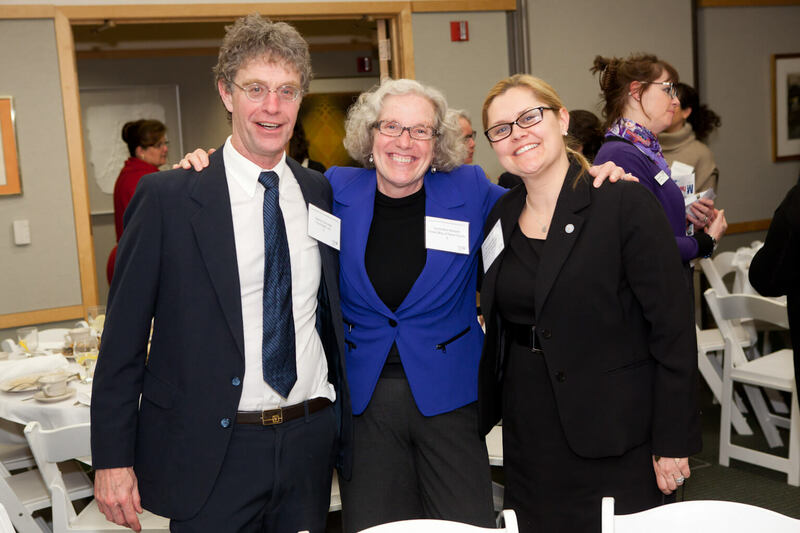 On March 6, the United Way of Dane County’s Board Rooms were packed with leaders to advance a community-wide conversation on how to collaborate and magnify efforts to end family homelessness in our community. With seventy-five community leaders, partner agencies, companies, city/local government, school officials, faith communities, and neighborhood leaders in attendance, a loud collective statement about the importance of ensuring no family in our community should ever have to choose between paying rent or putting food on the table was made. “United Way couldn’t be prouder to continue to work with all of the leaders who came together for this event. Ensuring every family has a safe, permanent, and stable place to call home is one of the core goals in our community’s Agenda for Change,” says Nick Meriggioli, Executive Vice President, Kraft Foods, Oscar Mayer/Kraft Foods Group and 2014 Chair of United Way’s Board of Directors. In Dane County, the Housing First initiative has been 80% effective at stabilizing families at half the cost of shelter. 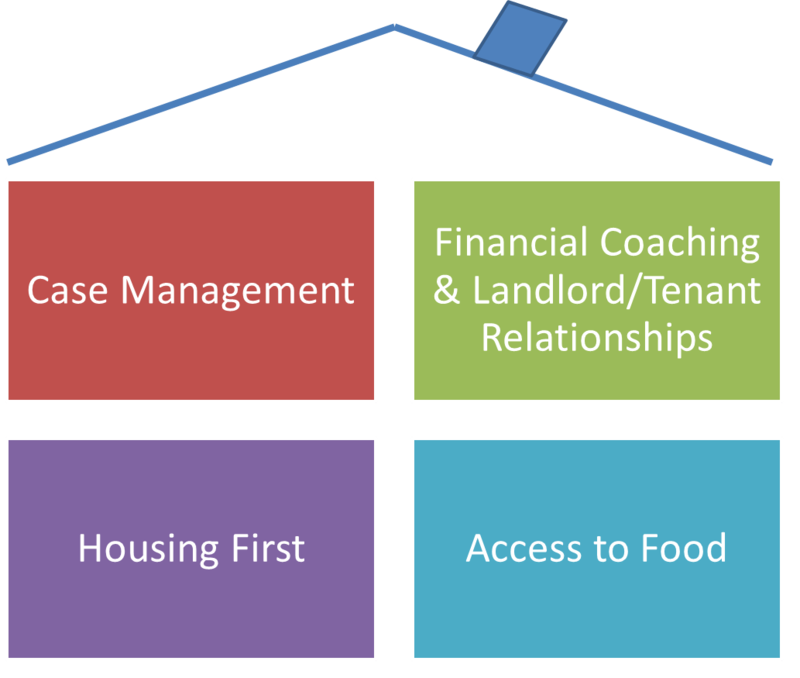 United Way’s four key strategies to ending family homelessness in Dane County. United Way’s Housing First program helps families achieve stable housing while addressing the other issues that contribute to their homelessness. By giving families the tools to avoid or leave emergency shelter systems and providing case management, Housing First stabilizes twice as many families at half the cost. 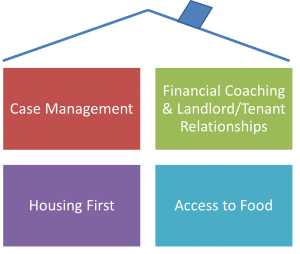 The Housing First initiative has been one of United Way’s four core strategies (quality case management, financial coaching, building relationships with landlords, and increasing the access to free healthy food) to reduce family homelessness in Dane County. Currently 2,100 Dane County at-risk families are maintaining their stability thanks to United Way’s housing strategies. Through uniting and mobilizing the Dane County community, United Way aims to reduce the number of Dane County children in shelters by 50 percent by 2015.